Hi and thank you for following Church Divided. Due to people constant interference in stoping me from doing what I planed to do with this blog, like give you a free e-book has made this task impossible for me. So I am letting everybody know there is a spiritual war going on and Christians all over the world are being attack and can’t get there work printed without a lot of prayers. Believe me God has worked miracles to get what I have done on this blog. 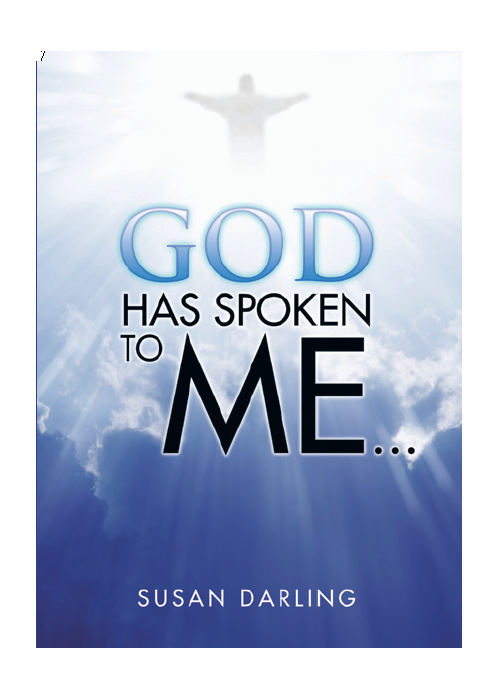 Please download your free e-book, God Has Spoken to Me by Susan Darling. If you enjoy the blog please consider becoming an author and making your own contribution to Church Divided. Visit Become a Contributor to find out more. God Has Spoken to Me… is consisted of two parts. The first part delves into women’s rights, particularly in the church. Darling believes that ‘men are still trying to keep women down by using the Bible in the wrong way.’ Revealing her personal conversations with God, the author shares the divine’s intent to forge equality among mankind, no matter the gender. The second part consists of a mixture of lessons God has communicated to her and also about upholding women to priesthood and letting priests marry. Honest, direct and stimulating, God Has Spoken to Me… offers a compelling take on the role of women in religion. At the same time, it provides readers an eye-opening insight on humanism and the need to advocate for equality, if humanity is to flourish as one virtuous nation with fair and impartial opportunities for all. Susan Darling was raised as a Protestant but later became a Catholic. She considers herself as a cross of both beliefs. Darling has suffered breakdowns and social phobias throughout her adult life due to life’s hardships. Currently, she lives in New South Wales, Australia and spends her time reading books about people’s religious beliefs.